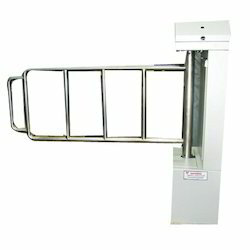 Our product range includes a wide range of swing gates, p type swing gate and flap barrier. Material of Structure Mild Steel powder coated. 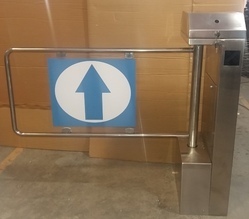 For Wheel Chair Movement or Trollies for Stores. Opening Time 5 to 12 seconds. Integration any readers available in Market. Good aesthetic & rugged & Robust Constructed. Design Its well designed and can incorporte/integrated with HID,Honeywell or any other branded readers. Power: 230 V AC single Phase. Current: Less than 40 V consumption. Opening Time: 5 to 12 seconds. 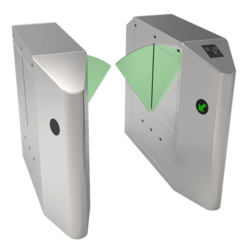 Available with Line Indicator side & Front. Clear Acrylic Flaps with LED. Inbuilt Controller with LCD IN/OUT Counter display for trouble shoot. Looking for Swing Gates ?